While many Makers and manufacturers in the past would always consider nozzles to be somewhat standard and unimportant components in 3D Printing, the introduction of exotic and abrasive filaments has dramatically changed this, and some brands are now putting a lot of focus into nozzle design, material composition and a variety of other factors, in order to make nozzles that are more wear-resistant and consistently precise for 3D printing. One such leading brand is Micro Swiss, and this world-renowned company taken the initiative of developing and refining high quality nozzles for all of the major 3D Printer Models, to provide customers with a collection of nozzles that offer genuine quality that they can trust. Not only are these 3D Printer Nozzles designed and manufactured to an incredible level of quality control and precision, but Micro Swiss have even refined the alloys and materials used within these nozzles in order to offer a lower friction coefficient, better wear resistance, and perfect compatibility with some of the leading Hotend Assemblies on the market. 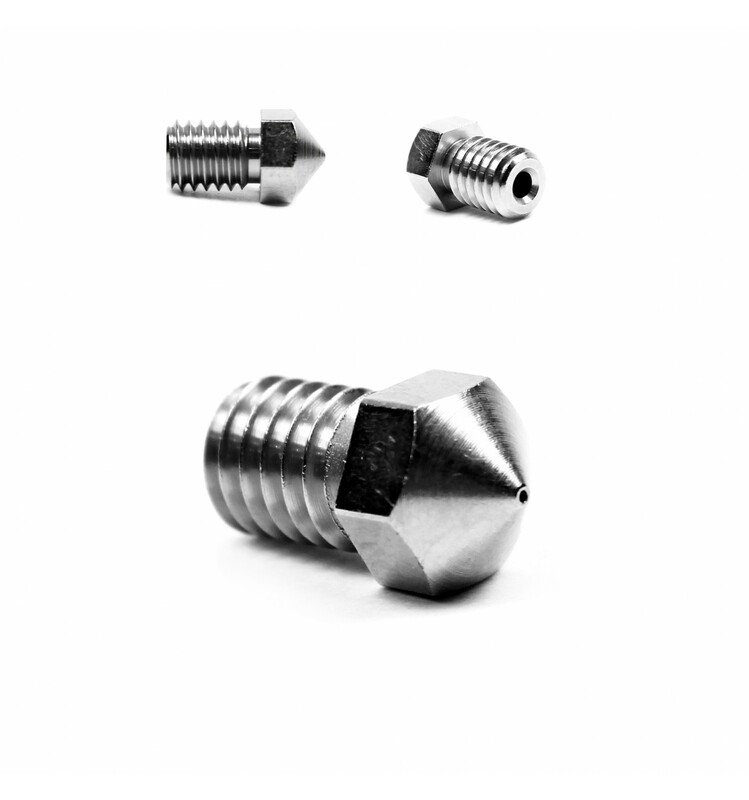 This 0.4mm Micro Swiss Nozzle is part of their E3D range, and is designed for 1.75mm E3D V5/V6 hotend assemblies, and is made from Plated Brass, with a specialised TwinClad XT nickel-composite coating that gives it a much stronger resistance to wear and tear, while also offering less friction to reduce clogging and other similar problems associated with typical budget nozzles. These unique factors make it an excellent nozzle for printing in Exotic Filaments and abrasive polymers, but still provides great benefits even if you only print in ABS or PLA Filaments – offering an impressively long lifespan of precision and consistency. Although brass nozzles are typically adequate for most 3D printing applications with standard filaments like ABS and PLA, some of the more exotic and unique 3D Filaments can be very abrasive due to the added materials like metal, carbon fiber or wood. For such abrasive filaments, a brass nozzle would typically wear down really quickly, leading to possible clogs and jams, as well as over-extrusion – with all of these factors negatively affecting the finished print quality. Fortunately, all you need to effectively print these kinds of filaments is a reliable high-durability nozzle like this one, making it a surprisingly affordable “upgrade” that you can equip to any 3D printer with an E3D-style V5 or V6 hotend assembly. 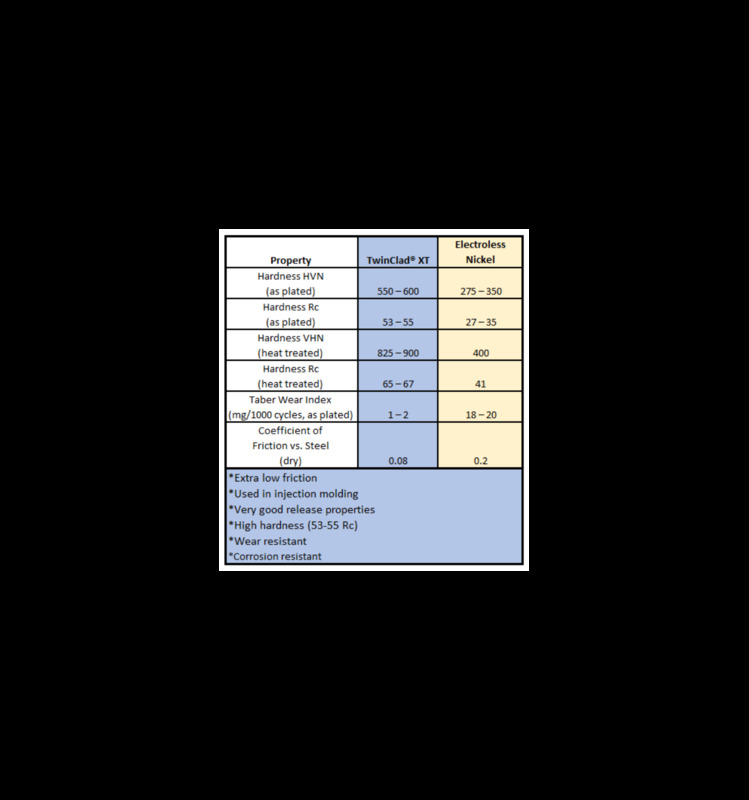 The 0.4mm size is often regarded as the industry standard, as it offers the perfect middle-ground between printing speed and precision. And whilst the smaller 0.2mm Micro Swiss Nozzle is made for highly-detailed prints, and the larger 0.8mm Micro Swiss Nozzle is made for faster and less-detailed prints, this 0.4mm nozzle offers good accuracy as well as decent speed, making it perfect for typical printing applications that don’t need extreme detail or rapid turnaround times. 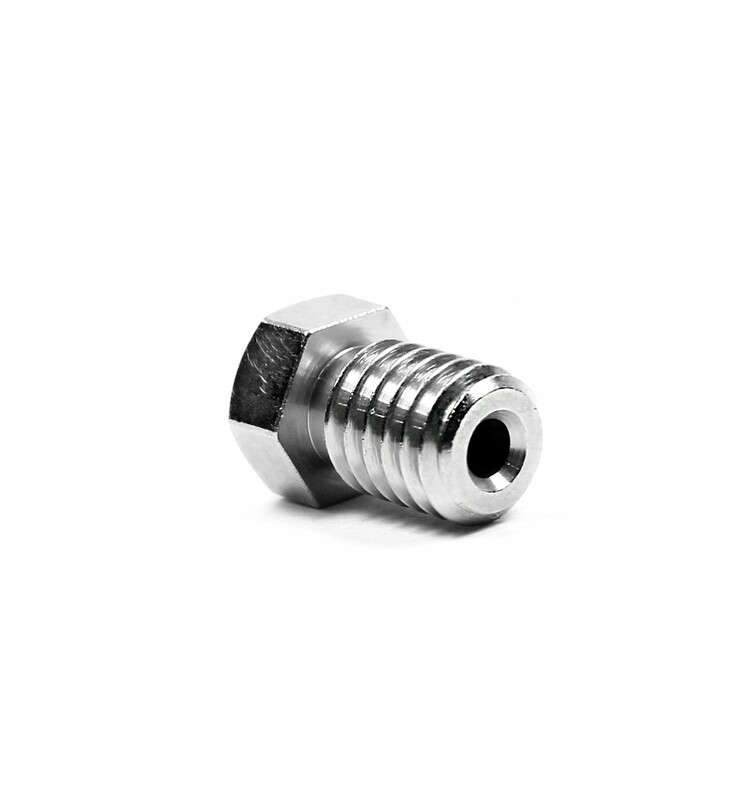 If you're eager to get a Micro Swiss nozzle, but are looking for a larger or smaller output diameter, be sure to take a look through our entire Range of Nozzles, which are available in sizes from as small as 0.2mm all the way up to extra-large 2mm output nozzles. Used it on a Genuine Prusa MK3. Its a bit longer than the Genuine E3D one so had to spend 2 hours re calibrating the printer.